The Islamic State is a transnational Sunni Islamist insurgent and terrorist group that has expanded its control over areas of northwestern Iraq and northeastern Syria since 2013; and recruits and operates in at least a dozen nations. II. HOW did they become ISIS? III. WHO is this Baghdadi and HOW did he rise to such power? So with and in this environment with its vacuums and volatility, came Baghdadi (bad daddy). But how and who is he and could his efforts have been crushed more efficiently and effectively much sooner? Note Baghdadi is of Sunni Islam which makes up almost 90% of all Muslims. ‘Soon after, in February 2004, Baghdadi was arrested in Fallujah while visiting a friend who was on the American wanted list. He was transferred to a detention facility at Camp Bucca, a sprawling complex in southern Iraq. Prison files classified him as a “civilian detainee,” which meant his captors didn’t know he was a jihadist. 2004: Two months before Baghdadi’s release, al-Qaida established a branch of its terror network in Iraq by absorbing a jihadist militia run by Abu Musab al-Zarqawi and putting him in charge of it. June 2006: Zarqawi was killed in US airstrike in Baghdad and Masri succeeded him. October 2006: Masri turns al-Qaida in Iraq into the Islamic State in Iraq. April 2010: Masri was killed in US/Iraqi forces raid. May 2010: Baghdadi becomes head of the Islamic State. The IS or ISIS/ISIL was designated a terrorist organization by the UN. October 2011: US State Dept. finally list Baghdadi as a Specially Designated Global Terrorist and announces a $10 million reward for his capture or death. June 2014: Baghdadi was elected by majlis al-shura (Shura Council) to be the Caliph over the Islamic State. 2015, at the age of 44, al-Baghdadi was on the cover of TIME as a runner up for Time Person of the Year. IV. HOW do they stay this strong? So, though ISIS is obviously a very significant player in these last days (years, decades), notice they are Sunni Islamist as opposed to having Shiite dominance. If the Antichrist comes out of these nations, in the long run i am not sure it will matter which Muslim group holds current dominance; however, as to their current beliefs, actions and politics – it most certainly matters; especially to those receiving the ‘Islamic test of 4 questions’ to see if they will lose their head or not. Though the test is beyond the scope of this article, basically many terrorist have started or follow a tradition of asking certain Arabs, etc… 4 questions to determine if they are Sunni or Shia: what is your name? where are you from (or where do you live)? How do you pray? and What kind of music do you listen to [and be careful of your cell ringtone while in the Levant (specifically parts of Egypt, Iraq, Israel, Jordan, Lebanon, Palestine, Syria, and Turkey)]? ‘The Islamic State has generated significant income through the use of kidnapping for ransom. The United Nations estimates that the Islamic State collected $35-$45 million in ransom fees in 2014 alone—a higher annual yield than both Al Qaeda in the Arabian Peninsula (an estimated $20 million in ransom between 2011 and 2013) and Al Qaeda in the Islamic Maghreb (an estimated $75 million since 2010). Reported ransoms amounts have varied. The Islamic State reportedly demanded a ransom of $100 million euros ($132.5 million USD) from the family of U.S. journalist James Foley, who was eventually killed, and requested the same amount from the families of two other American hostages. In contrast, France may have paid $18 million for four of its captured journalists in April 2014, and locals are said to be ransomed for anywhere between $500 and $200,000 each. Due to modern technology, i.e. the internet, cell phones, weapon technology, etc. we will until the end of time have Islamic Terrorist, terrorist cells and coordination of those and other groups. What is next, it that the next US president with or without the UN will seek to eliminate ISIS. In the sense that ISIS or IS in an Islamic State – as in territory, then yes, although extremely expensive, with certain military casualties on our side and military and civilian on their side – along with many innocent Arabs (children and adults) who will be in the wrong place at the wrong time, and a very long-term and complex mission, the Islamic State can be brought into submission and even quenched. In the last 12 months at least 600 American ‘security advisers’ have been sent to Iraq and Syria. The next move by the next administration will likely be much stronger. 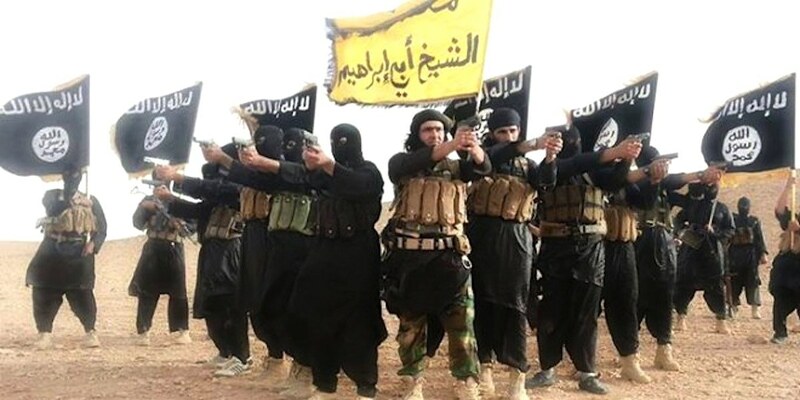 However, what is next for the Islamic State, and more importantly Islamic Terrorist cell groups is forever going forward until there laws reign over all Palestine, the Levant, and now that they are a force in the EU – populationally speaking – even with the first Muslim mayor of London – maybe even the world is the goal for some of these extremist. They see victories, money, hope and possibilities. Many of them see or have no other real opportunities to provide for their families, keep their families alive, and or achieve religious goals, than serving on radical caliphs. With wars and battles and billions to back them – not even speaking about the future moves of Iran and the members of the Shanghai Cooperation Organization – current leaders of IS / ISIS / ISIL will ALWAYS have a venue in one or more of the dozen countries they current operate cells in – or in more countries to come. For example, through the Saudi have led air strikes against Shiite rebels and killed hundreds and even 1,400 civilians by one report, the rebels still inhabit Yemen’s second largest city. And currently, al-Qaeda in the Arabian Penninsula (AQAP) in controlling as much as 15% of the reign. Afghanistan is still an active area as well. Suicide bomb in May 2015 killed more than 100 people in Saudi Arabia. Nov. 2015, 43 citizens were killed by a suicide bomber in Beirut, Lebanon. In Egypt, ISIS is responsible and or claims responsibility for killing 200 soldiers, police officers and civilians from Nov. 2014 to Nov. 2015. And another two dozen or so in Libya. They also are responsible for attacks in Cameroon, Niger, Chad and Nigeria. And they are more active in Libya, Somalia and Algeria than these aforementioned African nations. 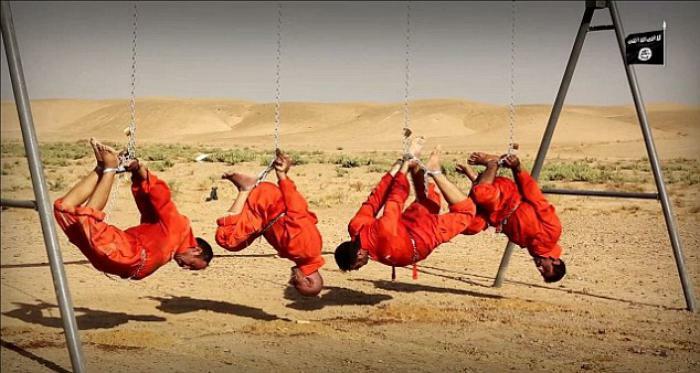 In Sept. 2014, certain Islamic militants kidnapped and beheaded a tourist. In March 2015, 22 people (mostly European tourists) were killed in Tunisia. Again in June 2015, 40 people are killed at a hotel in Tunisia (most British Tourist). October 2015, a Russian passenger jet was blown up over Egypt killing 224 people; ISIS claimed it was responsible. In Europe, ISIS members are being discovered daily. Countries like France, the United Kingdom, Russia and Germany had been thought to have a few hundreds ISIS fighters each, but some newer estimates put the figure at more than a thousand. Additionally, they heavily recruit in Bosnia and Albania. In Jan. 2015, a Danish-born gunman inspired by ISIS killed 2 strangers and wounded 5 police officers. March 2016, 2 Americans are confirmed dead among 31 killed and 270 wounded by terrorist bomb. In Asia, ISIS is recruiting in Burma and Malaysia. Moreover, a former al-Qaeda offshoot group in Indonesia has switched to ISIS and tried to set off a large chemical bomb in Jakarta in February 2015. In July 2015, a Turkish citizen with ties to ISIS killed 32 people at a public center. 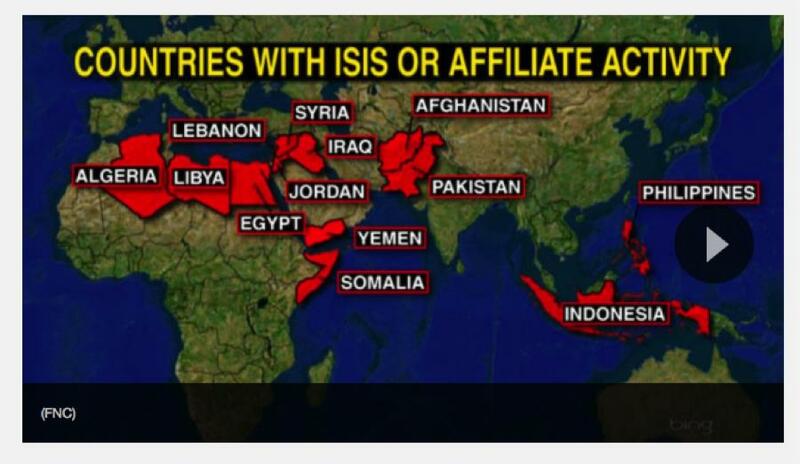 And the effects and desires of ISIS are not limited to these nations. In 2014, on behalf of ISIS a gunman seized 17 hostages in a Sydney cafe in Australia. In Feb. 2015, 2 men in Brooklyn were arrested and charged with plotting to fight for ISIS. In May 2015, 2 men opened fire in Dallas, and were acknowledged by ISIS as ‘soldiers of the caliphate.’ In France, 129 people were killed at several locations in Paris. Dec. 2015, 14 people were killed and 22 seriously wounded in San Bernardino, California. Farook was a US citizen who grew up in CA with a ‘troubled childhood;’ two weeks before the attack he told a co-worker that ‘Islam is a peaceful religion.’ Farook, met Malik through an internet dating website. She grew up near Islamabad, Pakistan. Malik study pharmacology at a Pakistan University, and graduated in 2012; and in 2013 enrolled in an 18 month Quranic Studies Course with Al-Huda International Seminary; online Islamic Courses. By May 2014, she told administrators she was leaving to get married. Farook and Malik married about a month after he traveled to Saudi Arabia to meet her. According to their U.S. marriage certificate they married 8/16/14 in Riverside, California. Malik had entered the US on a K-1 (Fiance’) visa with a Pakistani passport. In 2014, the Dept. of State issued about 36,000 K1 visas and other 5,000 for children of fiancee’s. K1 visa original started due to Vietnamese citizens marrying US soldiers during the Vietnam Conflict (War). At the time – it was a method to help about 100 soldiers and their wives – it has grown to tens of thousands per year. If men moved by spirits will do this; what won’t they do? VI. WHY ISLAMIC TERRORISM will continue until the end of the world? Because as long as there are Jews, Christians and Muslims arguing over land; and as long as Jews, Christians and Muslims believe their holy prophets (and misinterpret false prophets) and holy books, there will be not only clashes, but holy wars versus one another. Moreover, both the Koran and Bible prophesy it will be so. MAY 21, 2016: Islamic State calls for attacks on the WEST, specifically namely ‘the United States and Europe’ during their most sacred Ramadan (Koran 2:185). Reports translate an audio said to be from the zealot leader Abu Muhammad al-Adnani: “Ramadan, the month of conquest and jihad. Get prepared, be ready … to make it a month of calamity everywhere for the non-believers … especially for the fighters and supporters of the caliphate in Europe and America… The smallest action you do in their heartland is better and more enduring to us than what you would if you were with us. If one of you hoped to reach the Islamic State, we wish we were in your place to punish the Crusaders day and night.” Ramadan 2016 begins the evening of Sunday, June 5 and continues to July 5. During Ramadan the faithful Muslims fast from all food, drink and pleasures during the daylight. Fasting during the month of Ramadan is considered one the 5 Pillars of Islam (which basically follow Judeo-Christian Scripture / traditions – yes; we Christians are supposed to at least occasionally Fast and fall on our faces before the Creator of the Universe; and the Jews began fasting on the Day of Atonement (Yom Kippur; Lev. 23:27-; Acts 27:9) 2,000 years before Muhammad made Ramadan the Muslim month of fasting).